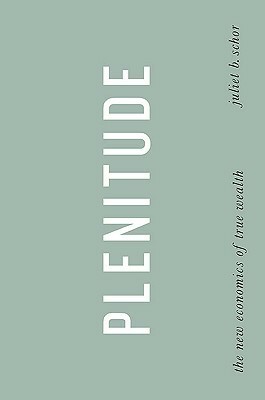 서명/저자 Plenitude : the new economics of true wealth / by Juliet B. Schor. 발행사항 New York, N.Y. : Penguin Press , 2010. In Plenitude economist and bestselling author Juliet B. Schor offers a groundbreaking intellectual statement about the economics and sociology of ecological decline, suggesting a radical change in how we think about consumer goods, value, and ways to live. Humans are degrading the planet far faster than they are regenerating it. As we travel along this shutdown path, food, energy, transport, and consumer goods are becoming increasingly expensive. The economic downturn that has accompanied the ecological crisis has led to another type of scarcity: incomes, jobs, and credit are also in short supply. Our usual way back to growth-a debt-financed consumer boom- is no longer an option our households, or planet, can afford. Responding to our current moment, Plenitude puts sustainability at its core, but it is not a paradigm of sacrifice. Instead, it''s an argument that through a major shift to new sources of wealth, green technologies, and different ways of living, individuals and the country as a whole can actually be better off and more economically secure. And as Schor observes, Plenitude is already emerging. In pockets around the country and the world, people are busy creating lifestyles that offer a way out of the work and spend cycle. These pioneers'' lives are scarce in conventional consumer goods and rich in the newly abundant resources of time, information, creativity, and community. Urban farmers, do-it-yourself renovators, Craigslist users-all are spreading their risk and establishing novel sources of income and outlets for procuring consumer goods. Taken together, these trends represent a movement away from the conventional market and offer a way toward an efficient, rewarding life in an era of high prices and traditional resource scarcity. Based on recent developments in economic theory, social analysis, and ecological design as well as evidence from the cutting-edge people and places putting these ideas into practice, Plenitude is a road map for the next two decades. In encouraging us to value our gifts- nature, community, intelligence, and time-Schor offers the opportunity to participate in creating a world of wealth and well-being.